Computer science is the science of the future, and already underlies every facet of business and technology, and much of our everyday lives. In addition, it will play a crucial role in the science the 21st century, which will be dominated by biology and biochemistry, similar to the role of mathematics in the physical sciences of the 20th century. 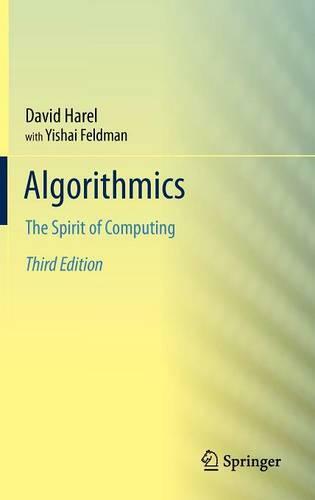 In this award-winning best-seller, the author and his co-author focus on the fundamentals of computer science, which revolve around the notion of the algorithm. They discuss the design of algorithms, and their efficiency and correctness, the inherent limitations of algorithms and computation, quantum algorithms, concurrency, large systems and artificial intelligence. Throughout, the authors, in their own words, stress the `fundamental and robust nature of the science in a form that is virtually independent of the details of specific computers, languages and formalisms'. This version of the book is published to celebrate 25 years since its first edition, and in honor of the Alan M. Turing Centennial year. Turing was a true pioneer of computer science, whose work forms the underlying basis of much of this book.